Product prices and availability are accurate as of 2019-04-18 02:04:53 UTC and are subject to change. Any price and availability information displayed on http://www.amazon.com/ at the time of purchase will apply to the purchase of this product. 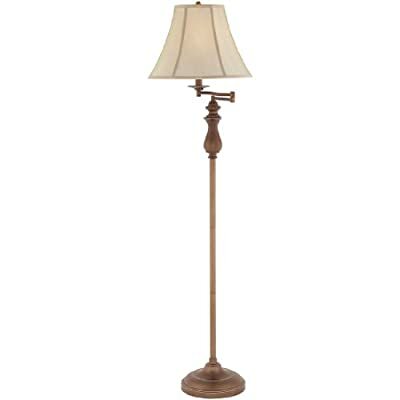 The Quoizel Q1056FBN Quoizel Portable Lamp collection Floor Lamps in Brushed Nickel use Incandescent light output and bring Traditional style. This item is 61"H x 15"W x 15"L. The wattage is 100. The Quoizel Lighting Q1056FBN requires 1 bulb (not included). Additional Information: Shade-White BT1621B Softback Shade with self Trim Top and Bottom with Piping; Control-On / Off Switch.